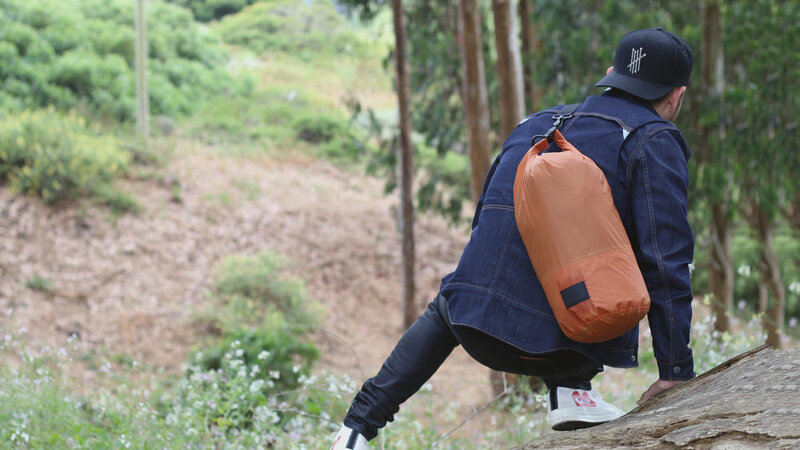 A revolutionary utility backpack with Regenerative FuseFabric™ - Ideal for EDC, Travel, or Gym. REGENERATIVE - Self healing & repairing when small cuts or punctures occur. No tools needed -simply rub the fabric with your bare hands. After creating two of the most backed flashlight projects EVER on Kickstarter, with over 20,000 backers, we set out to create more awesome, minimal EDC products. We focused on a premium, lightweight, and minimal design, providing water-resistant seams and an ultra-durable FuseFabric™ shell. For optimum carry capabilities, we added a removable cross shoulder strap to simply throw over your shoulder. Simple, easy and effortless, we see things from a different perspective. Our FuseFabric™ technology vastly improves upon traditional Nylon Ripstop. It’s a revolutionary weaving process that blends thicker, more-durable threads with lighter, lower-density fibers all coming together with a polyurethane coating. This effectively reduces overall weight and creating a seamless experience over all. REGENERATIVE - Self healing & repairing when small cuts or punctures occur. No tools needed - simply rub the fabric with your bare hands. The simplest solutions solve the biggest problems. What makes us different? We eliminate weight, bulk, and hassle from standard everyday carry bags. We've created an effortless experience between you, and your EDC. The outdoors have never been so close. 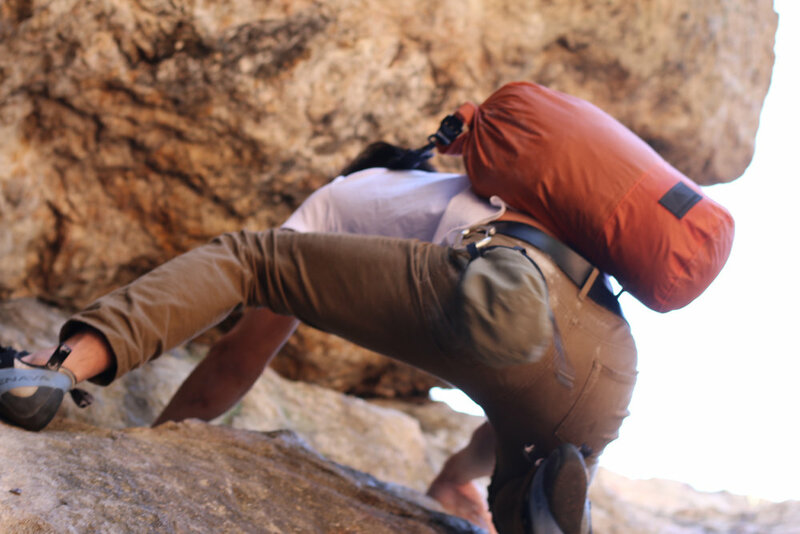 We designed Wolverine to be perfect for hiking, going to the beach, surfing, or climbing- you name it. Get out of town with the buddies, or explore the the endless trails of the outdoors, all with the convenience of your Wolverine. We combined a sharp, elegant design with breakthrough fabric technology to bring you a perfect day-to-day use Utility Bag. We believe that the shape, and size keep the design minimal, functional, easy to carry, and completely hassle-free in any situation. You can sport it on the subway to your office just as easily as you can take it on a blissful day hike.